Suffering from chest pain when breathing? Chest pain is a symptom that should never be ignored. If your chest discomfort is only minor, or resolves quickly, it is still recommended that you make an appointment to see a doctor. If the pain is due to a heart problem, it could be an indication of a heart attack, which is the most urgent possibility, in which blood supply to the heart is blocked off. Another possibility is angina, where the blood supply is restricted. The more urgent condition will tend to happen at rest, whereas angina is more often triggered with exertion, and can be managed with medication. Other less serious causes of chest pain include gastro-oesophageal reflux disease (GORD), bone, muscle, or lung problems, anxiety, and panic attacks. Pain that feels heavy, constricting, or tight. Pain that doesn’t go away after 15 minutes. Pimultaneous symptoms, such as shortness of breath, nosebleed or coughing up blood, nausea, or sweating. If the pain spreads to other areas of the body, such as arms, back or jaw. If you are in the category of higher risk for coronary heart disease – markers include smoking, obesity, high blood pressure, or high cholesterol. If you have used cocaine. For some forms of chest pain, you MUST call an ambulance immediately. 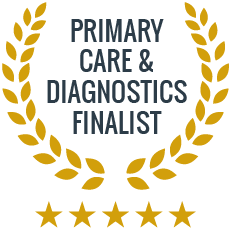 For others, you could consider coming to see one of our doctors who will examine you, conduct the appropriate tests and refer you to a cardiologist if this is needed. In terms of heart disease, the high risk factors include smoking, obesity, high blood pressure, and high cholesterol. Family history of heart disease also plays a major role. Can chest pain be caused by something other than heart or circulatory issues? Yes. 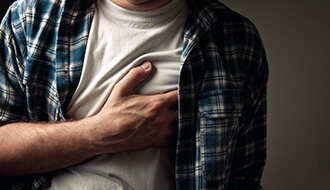 Chest pain does not always indicate a problem with a major organ (heart, lungs, digestive tract, or gallbladder), It could also be due to a problem with the skin, muscle, or bone in the chest area. Is it normal to experience chest pain after a heart attack? Not everyone who has had a heart attack with go on to experience chest pain, although it is possible, particularly after physical exertion or strong emotion. If you have already had a heart attack, your risk of another is increased, and any chest pain at all is cause to see a doctor.